Indeed it has been doing that, for over 100 years, and it has been responsible for preparing and administering standardized tests across the nation. In the past decade, College Board exams have become ever so valuable. With close to 5 million AP tests taken in 2017, and the SAT test being a key factor in college admission the number of students who are relying on College Board’s tests is unmatchable, and College Board might be slightly be taking advantage of that fact. First of all, College Board claims to connect students to college success. In 1960 the University of California signed on the SAT, which required applicants to take the SAT. Ever since, the test has been used to measure students’ capabilities equally across the boards. Meaning, that the number of high school students being exposed to college level courses has increased dramatically because of College Board. However, in the past decade, the growth of college applicants, has affected standardized tests, such as the SAT. Unfortunately the SAT has become a means of making or breaking students’ chances of getting accepted into the four year universities of their choice. As stated earlier, college applicants have grown in the past couple of decades and in turn colleges do not have the time to review 70,000 different applications. So, colleges and universities use SAT scores to determine who’s application to review, and which applications to deny. Part of this has been because of the inflation of GPAs and unequal comparison of grades. There could be a significant difference between an A in Boston and an A in Portland, Ore., whereas the SAT is the same test in every state. The opposite is to be said about AP tests. More and more colleges have stopped giving credit for AP courses. Three being the prestigious schools of Dartmouth, Brown and Columbia. This means, hundreds of thousands of students each year could take these rigorous AP courses and not be rewarded for their success on the exam. Worst part of all, is College Board charges nearly $100 per exam with fees to receive scores and send them to colleges. Fortunately, unlike the SAT test, the AP tests are optional. 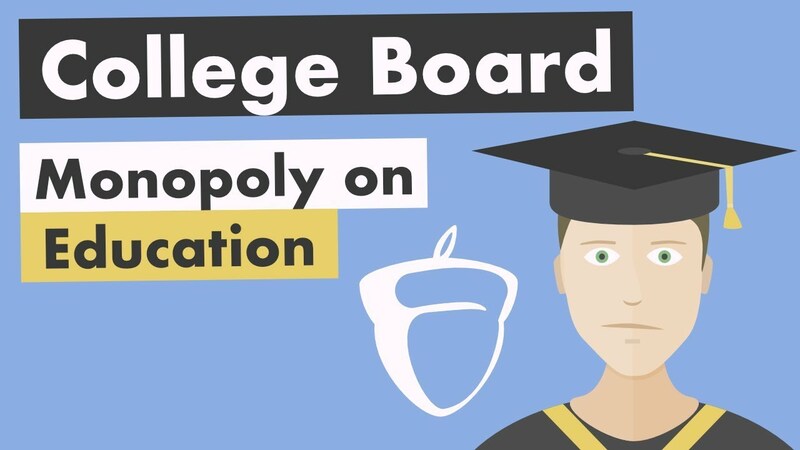 In fact, College Board seems to act like a business. according to the group’s most recent publicly available 990 form, they made over $750 million in 2014. Whether or not they retain the entire revenue, they are still a very profitable, nonprofit. College Board has also been exposed for selling the information of student test takers to colleges and institutions for under $0.50. All in all, there is no denying what College Board brings to high school education; an equal SAT test for students nationwide along with advanced courses for those looking to challenge themselves. With their business-like behaviors and maneuverability to change tests every year, however, they could peacefully sit back and collect revenue. Meanwhile students will have to strongly depend on their SAT scores as a factor in their selection into colleges, and might not be able to rely on AP courses for college credit. Thanks a lot, College Board. Stop. Read the shampoo bottle.